Description Happy Halloween! It's time for a raycaster game! This is a survival game filled with skellingtons, explosions, and of course, cats. 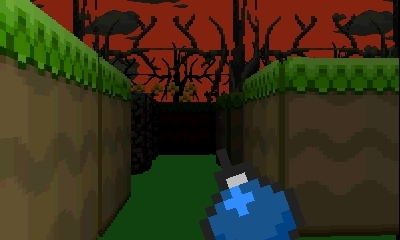 Find the key and escape the maze, and if you rescue a cat you may get a reward... but watch your back! You never know what may be lurking in the shadows... Instructions Controls: Circle Pad - Move X/B - Look up/down L/R - Strafe A - Throw bomb (hold to cook if unlocked) Y - Open gate D-Pad - Zoom map Notes Includes the first release of the raycasting library. Judges’ Comment “Wow! How did they do that!? That skeleton is so scary!” This excellent game had all the judges amazed by the programmer’s otherworldly skills. 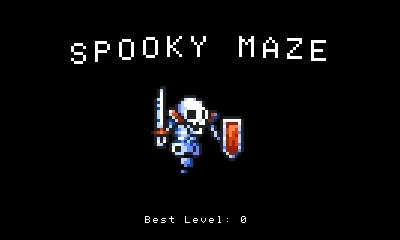 The sense of anticipation while wandering around the maze and the panic when being chased by the skeletons are pulled off perfectly. With graphics this polished, we felt we had no choice but to give this game the Technical Award! Amazing, no matter how many times you see it!